These pirates are in the sea looking for victims to rob them and get some gold. But they will not give up easily. So they will have to use their gun and shoot. And you have to help them to win this battle. Aim good and try to shot well, or you will lose. Good luck! In this amazing action game, developed by arcade games, you have a chance to go back in time in the age of fearless pirates and the battles of ships and booty in open sea. 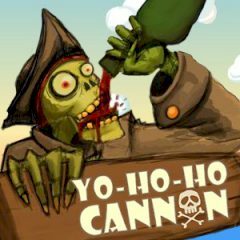 If you dreamed to become a real pirate, have a sabre and a pistol and drink rum, you will certainly like this game. You mission is to help the brave crew of this pirate ship to sink other ships. To do this you will use the cannon of the ship. But it’s not as easy as it seems. So, you will have to use all your shooting skills to reach success. Try to destroy the enemy ship faster and using less shots, to get more points. Are you ready to fierce battle in the open sea? The devoted pirate crew is waiting for their captain.